When buying a smartphone, there are dozens of different factors to consider, especially if you're trying to decide between a few popular phones that seem like essentially the same thing, just with different packaging. Looked at a list of specs lately? 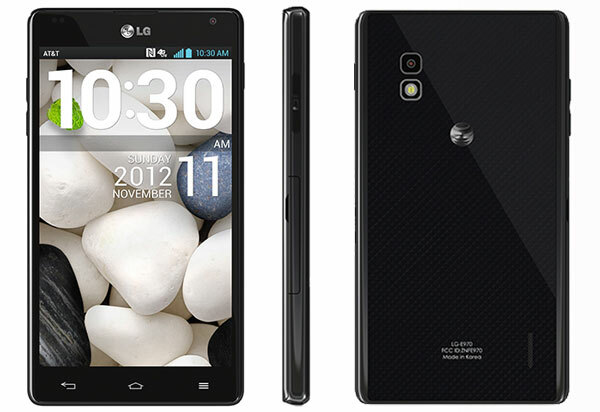 Quad-core, 2GB RAM, 13 megapixels, 4.7/4.8/5.0/5.5 inches, LTE, NFC, and other three letter words. What sets one phone apart from another? If recent launches are any indication, smartphones are due to have longer and longer lists of features to differentiate themselves from the competition. Good features can make or break a smartphone, but not all features are worth your time and they definitely should not influence your buying decision. Here are the most egregious offenders. Two years ago the fanciest smartphones boasted 5 megapixel cameras. Last year's number? 8MP. Now the 13MP phones are coming and aren't you impressed? You shouldn't be. We went through this same scenario over in the camera world and the problem is the same here. More megapixels does not equal a better camera or better pictures. The iPhone 4 [iPhone 4S] had a 5MP camera that put many 8MP Android phones to shame. 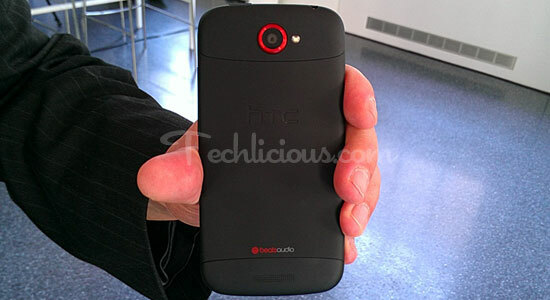 The Galaxy S III and the HTC One X both had 8MP cameras, but HTC took superior pictures. Specs alone aren't going to tell the whole story. What makes a good smartphone camera is a combination of a quality sensor and a good camera app that tweaks things behind the scenes to give you the best shot possible. A wealth of settings in the camera app is a definite plus, but some smartphone makers are going overboard with image and video features that aren't necessary and don't make images look any better. Recent examples include HTC's Zoe (introduced with the new HTC One) which takes multiple pictures plus a few second video every time you press the shutter button andthe dual camera recording feature found on the LG Optimus G Pro and the Galaxy S4. Even the highly touted 1080p video recording isn't impressive if you're not going to watch it on a 1080p screen or, if you do, the quality is so bad you wish you'd left it on your phone. Don't shop by these features. Look for camera enhancements that will improve how images look in the end. High-end smartphones that have fast lenses (f/2.0 or lower) will deliver better shots, but also look for camera apps with settings that allow you to change the exposure and white balance, include HDR (High Dynamic Range), and have scene modes. With a wealth of apps available that allow you to stream and download your favorite music, more people are using phones as their MP3 players. With that comes a desire for better audio quality. Thus, some manufacturers tout their audio prowess, like HTC including Beats Audio in their flagship phones. The secret is that Beats Audio is little more than a set of equalizer settings, and therefore all you need is a good third-party EQ app like Equalizer EQ (free in Google Play or iTunes) to improve the output on music, video, and even games. Ever since Android 3.x Honeycomb Google has tried to convince phone and tablet manufacturers to give up on buttons. Android devices no longer need physical Home, Back, or Menu buttons, since these functions are now on the screen. Does that stop the likes of Samsung, HTC or LG from including them in their designs? Nope. This isn't a bad thing in itself–some would argue it's a good thing–but when phone makers start adding even more buttons, they move into the territory of unnecessary. Camera shutter buttons aren't too bad, but buttons like LG's QButton on the Optimus G Pro just get in the way. The QButton launches QMemo by default, even though you don't really need such quick access to that app. Users can change which app it does launch, but that doesn't eliminate the real problem: there's no need for an extra, in the way button that launches apps. Gone are the days when almost everyone with a smartphone had the same smartphone. Be it the halcyon years of BlackBerry dominance or the early days of the iPhone. Even popular Android phones can only achieve a certain amount of market saturation on their own. So picking a device based on the cool things it can do, if those cool things only apply to one other device, means you'll hardly ever get to do that cool thing. Samsung touted the Galaxy S4's Group Play feature as a way for a group of friends to enjoy music together and improve the sound quality. Problem is, that feature only works on the S4. It may work with the next-generation Galaxy Note and a few other premium phones from the company, but not the Galaxy S 3 or the Galaxy Note 2, even though both are quite popular. For years futurists have predicted a world where technology requires little more than a hand-wave or voice input to get amazing results. The road to that amazing future is apparently a long one, and along the way we're due to be bombarded with stuff that looks like it came from "Minority Report" when actually it's more like "Amazon Women on the Moon." Waving your hand above the screen to swipe left and right is cool, but it's not better than just swiping left or right with your finger. Talking to your phone to make calls, schedule appointments, and search the web feels like science fiction until the text-to-voice engine doesn't understand you, can't translate without a connection or can't interact with the app you need. And, finally, the jury is still out on the recently-introduced eye tracking feature. It didn't work well for us in bright light situations, but when it did work, it was really useful. Overall, when shopping for smartphones, be on the lookout for hype. Flashy features rarely add up to anything, so keep in mind what's important in a phone: comfortable design, good display, long battery life and software features that match what you want to do with your phone. This article said nothing I didn’t already know. Please do not waste my time. It’s really hard for us to survey each of our readers to find out what they know and don’t know before we write an article, and then only include content everyone knows nothing about. Perhaps one of the two thousand or so other articles we have on the site will provide a more enriching experience. I like how you defended yourself buddy and mentioned other articles. If you’re so knowledgeable, why were you seeking the information to begin with? You wasted your own time, then. The iPhone 4s actually has an 8MP camera and the quality of the camera is amazing compared to the iPhone 4. How are you to write an article with out research? Thank you for alerting us. Even with the checks we have in place, errors can sometimes slip through. I’d like to leave a comment to balance out the rude comment left by another reader. Not everyone is tech-savvy. I found the article to be interesting even if I already knew some of the things that were listed. I actually learned about the features of some specific phones, which can help me decide whether to avoid them or not in the future. As for the cameras, I barely even take pictures, so I honestly didn’t know that more MP don’t necessarily mean better quality! Thank you for doing your best to inform readers. It’s the Internet, and we’ve become relatively thick -skinned towards the rudeness. But we love to hear when readers find an article helpful because that is our ultimate goal. Made my day, your response . A lot of Galaxy features are useless, including the virtual hand gestures and eye tracking. More useful is the assistant. It does a really good job understanding me and allowing me to set alarms and appointments. articles like this remind me why i’m not a technophile and choose instead to live a more austere life. the extent of my technophelia is an ipad2 mini and my computer, which still runs win7. i have no headaches like, “what smartphone should i get” or “what (insert technological gadget of choice here) is the best”. makes my life cheaper and more uncluttered too hahaha.